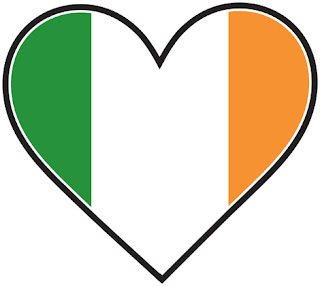 In just less than two weeks, many people, regardless of ancestry, will be feeling a little bit Irish. With the arrival of St. Patrick's Day, folks from all corners of the world will be into the spirit of things. 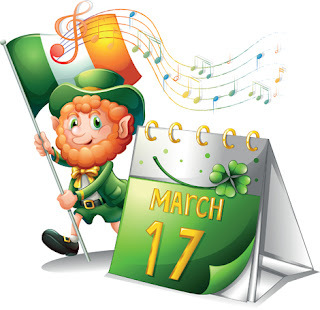 In keeping with the celebration it will mean plenty of green — whether people are donning it or drinking it. The vibe is already in the air. In the days leading up to March 17, children in classrooms will be colouring fanciful outlines of shamrocks and rainbows, pots of gold and leprechauns. Adults will soon be diving through their closets to find an outfit or piece of clothing that's just the right hue of jade or emerald. Then when St. Pat's Day is finally here, people will line the streets for parades, and parade into pubs for lively entertainment. 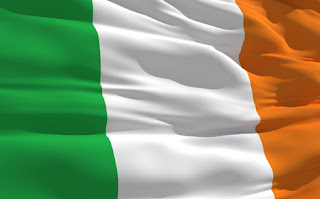 But amidst the frivolity and enjoyment, it's quite likely that only those with green blood coursing through their veins will be waving the tri-coloured flag of Ireland in true patriot pride. The recent Olympics are the epitome of a nation's flag symbolizing the patriotism of the people. When a gold medal win means citizens have the opportunity to watch their flag rise highest above the podium accompanied by the national anthem in honour of gold-winning athletes, it strikes a unifying chord across the country. A nation's flag is a representation of that place and its denizens. Some proudly boast an image — a coat-of-arms or something symbolic. For example, there is one star for each state on the American flag. Also, the bold maple leaf in the centre of the Canadian flag celebrates that country's diverse nature and environment. The five stars on the Chines flag represent the relationship between the unity of the people under the Communist Party of China. However, as is the case in the Irish flag, the colours can stand alone in conveying a message. Courage, revolution, hardiness and valour are typified by red; freedom, vigilance, perseverance, justice, prosperity and peace are represented by blue and justice by yellow. Groupings too can be significant — red, white and blue being a representation of revolution and freedom; or or an area — red, yellow and green being the colours of the Pan-African nations. In the Irish flag the three bands of vertical colours signify an often tumultuous part of the country's history. Roman Catholics are represented by the green, while the Protestant supporters of William of Orange are typified by that colour. The white swatch between these is a symbol of peace and hope for union between the two religions.